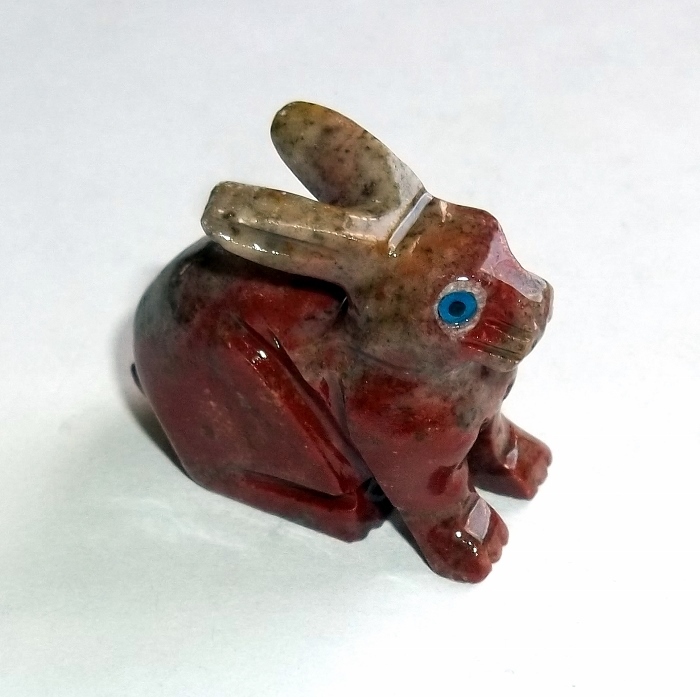 The Spirit Rabbit carved out of dolomite. The Rabbit brings agility, keen observation, and sensitivity. 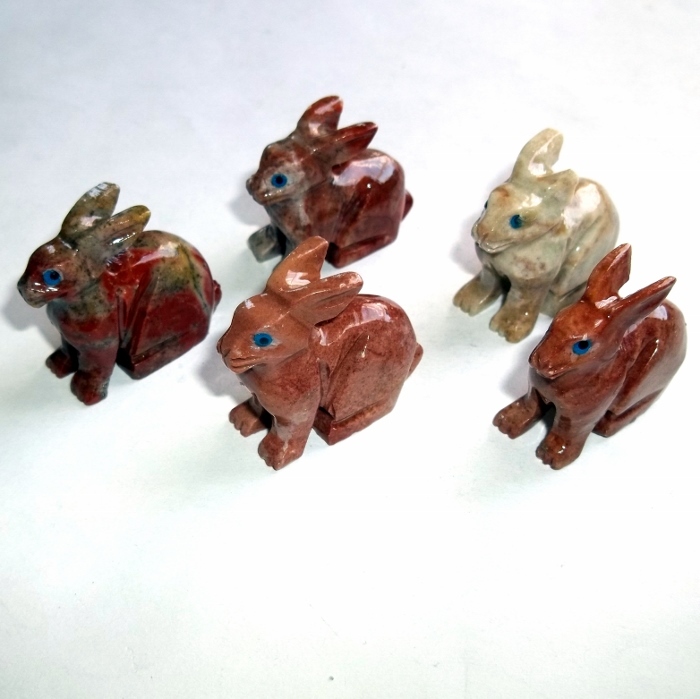 Rabbits represent sexual attraction and fertility. 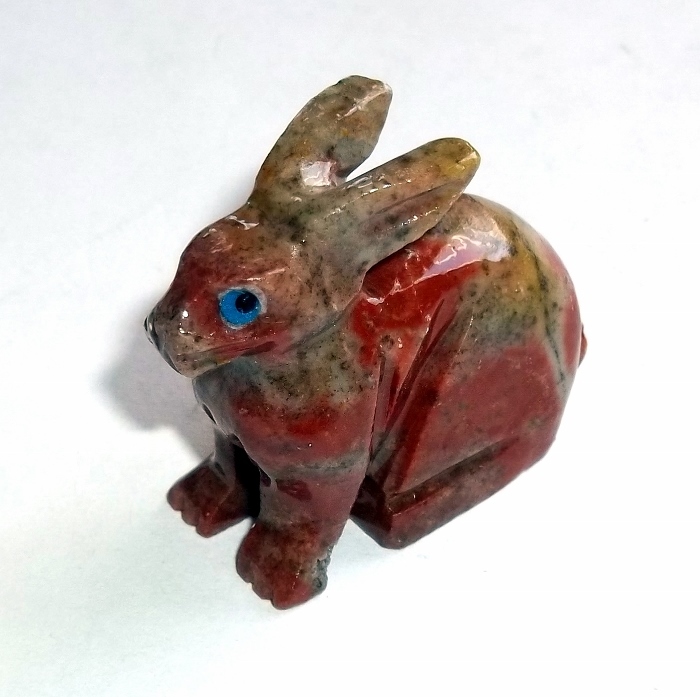 Your Spirit Rabbit can help you work through fear and stop worrying. It brings humility and sharpened reflexes. Dolomite is an earth element gemstone that works with all chakras. Dolomite helps you become centered, balanced and calm and relieves anger and fear. 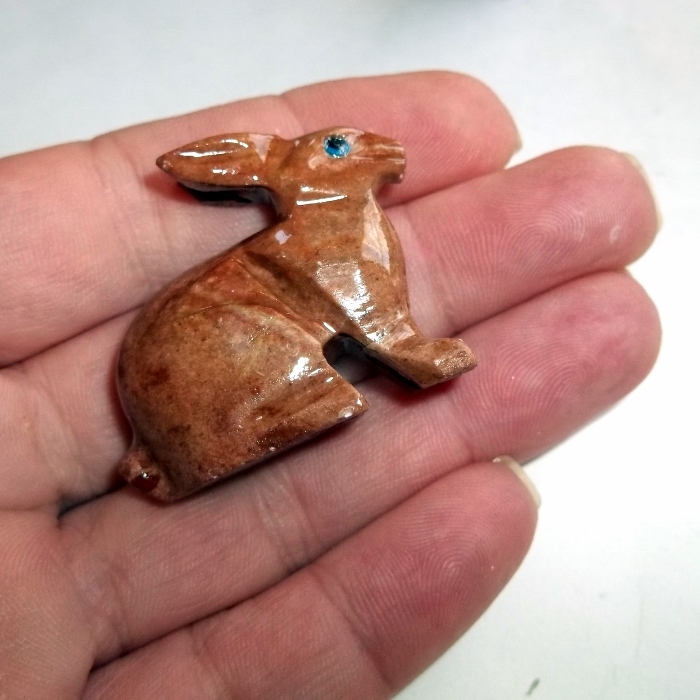 The Spirit Rabbit carving is approximately 1 1/4 inch by 1 1/4 inch and each rabbit has natural color variation. 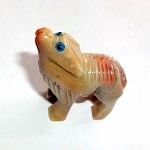 These are imported from Peru.